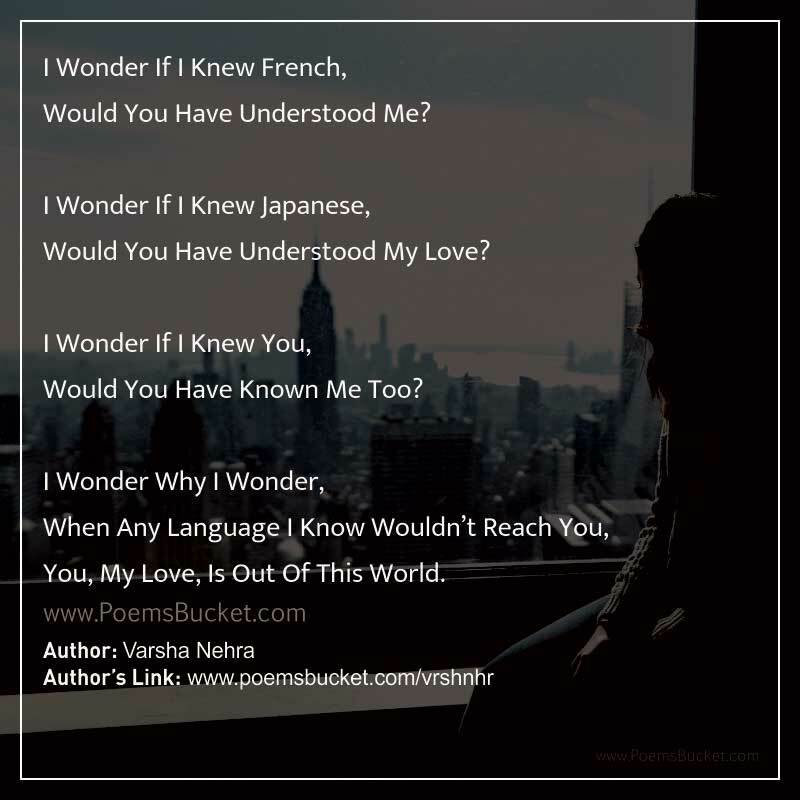 Would You Have Understood Me? Would You Be Satisfied By My Decisions? Would You Have Understood My Love? Would It Matter If I Knew Sanskrit Too? Would I Be Called A Better Person? Would You Have Known Me Too? Would You Be Able To Decode It? You, My Love, Is Out Of This World.